Rest Devices, a Boston-based start-up, has redefined monitoring and sleep in the connected nursery. 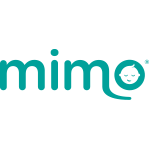 Its flagship product, the Mimo Baby Monitor, launched in February 2014 and is now sold nationwide at leading retailers, and used by parents in over 80 countries. Rest is now using its extensive infant sleep database to help parents get more sleep through innovative approaches to sleep training, while also integrating more products into its Mimo ecosystem.